Vermont has several student loan forgiveness programs that are specific to just the State of Vermont. Description: The Vermont Educational Loan Repayment Program for Primary Care Practitioners is funded by the State of Vermont through the Department of Health, and is administered by the University of Vermont College of Medicine Area Health Education Centers (AHEC) Program. The goal of this program is to ensure a stable and adequate supply of primary care practitioners to meet the health care needs of Vermonters. § The recipient must be a Vermont resident and a primary care nurse practitioner, physician assistant, psychiatric nurse practitioner, certified nurse midwife, or physician (family medicine, general internal medicine, pediatrics, obstetrics/gynecology, geriatrics, and psychiatry) practicing a minimum average of 20 (clinical) hours per week and 45 weeks per year in Vermont. Description: The Vermont Educational Loan Repayment Program for Nurses is funded by the State of Vermont through the Department of Health, and is administered by the University of Vermont College of Medicine Area Health Education Centers (AHEC) Program. The goal of this program is to ensure a stable and adequate supply of nurses (LPNs and RNs) to meet the health care needs of Vermonters. § The recipient must be a Vermont resident and serve Vermont residents practicing a minimum average of 20 (clinical) hours per week and 45 weeks per year in Vermont. Description: The Vermont Educational Loan Repayment Program for Dentists is funded by the State of Vermont through the Department of Health, and is administered by the University of Vermont College of Medicine Area Health Education Centers (AHEC) Program. The goal of this program is to ensure a stable and adequate supply of dentists to meet the oral health care needs of Vermonters and increase access for the Medicaid population. § The recipient must be a Vermont resident and a dentist serving Vermont residents practicing a minimum average of 20 (clinical) hours per week and 45 weeks per year in Vermont. Description: Vermont nurses employed as nurse educator/faculty (including adjunct faculty) in nursing at Castleton State College, Norwich University, Vermont Technical College, Southern Vermont College, or the University of Vermont, can receive up to $20,000 of loan payments per year (up to 6 years) for a commitment to work at the rate of one year for each year of payment. § Applicant must be a Vermont resident. § Applicant must be employed as a nurse educator/faculty member at a nursing program in Vermont (Castleton State College, Norwich University, Vermont Technical College, Southern Vermont College, or the University of Vermont). § Recipient must meet a one-year service commitment. Description: VBF’s statewide Loan Repayment Assistance Program (VBF-LRAP) provides loan assistance for licensed attorneys employed in non-profit organizations dedicated to serving the civil legal needs of low-income individuals and families in Vermont or employed by the Office of the Defender General. 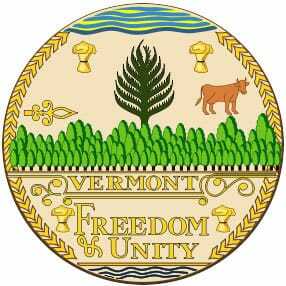 § All participants must be licensed to practice law in the State of Vermont. § Participants must be employed by a qualifying employer. Participants may be employed full-time or part-time. Assistance to part-time attorneys shall be pro-rated. § A participant’s salary may not exceed $50,000. § Undergraduate, graduate and law school loans will be considered in determining the amount of assistance. Family and personal loans are excluded. Also excluded are loans for other than educational purposes.